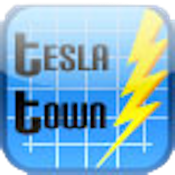 Enter Tesla Town and explore electricity generation and delivery. Go into a hydroelectric power plant and see the turbine. Visit a solar powered house or a wind farm. - Demonstrates the importance and workings of current and future electricity generation and delivery systems. Developed by power engineering experts and educators from the Office for Mathematics, Science, and Technology Education (MSTE) and from the Information Trust Institute (ITI) at the University of Illinois at Urbana-Champaign. ©2012 The Board of Trustees of the University of Illinois. All rights reserved. The Trustworthy Cyber Infrastructure for the Power Grid (TCIPG) is a Department of Energy (http://energy.gov)-funded project, with support from the Department of Homeland Security (http://www.dhs.gov). The research team brings together experts from the University of Illinois at Urbana-Champaign, Dartmouth College, Cornell University, the University of California at Davis, and Washington State University.